2015 marks the 12 th year of our work installing Corvairs into Zenith airframes. Today there are almost 100 Corvair powered Zeniths, each representing the craftsmanship of an individual working with our direction, support and components. 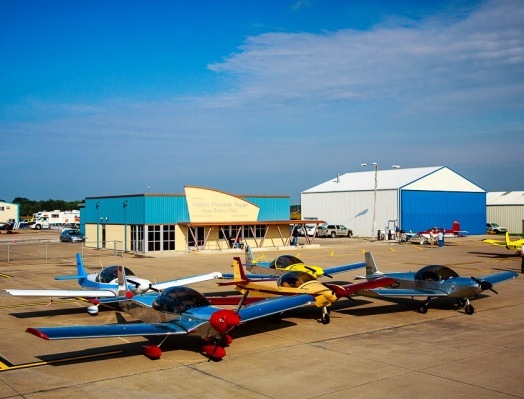 Throughout this time we have maintained a close working relationship with the Heintz family, Hosting 4 Corvair Colleges at their facilities, displaying aircraft in their booth at both Sun n Fun and Oshkosh, and being present at 7 of the factory open houses. I am an outspoken supporter of the designs of Chris Heintz, I have followed his teachings closely since I was an Aeronautical Engineering student at Embry-Riddle, 25 years ago. Above, a 1971 photo of Chris Heintz with one of his designs. The picture was actually taken in Belgium. Note the French aircraft registry. If you look closely you can see that his modern designs like the 650, have their roots in his early work. 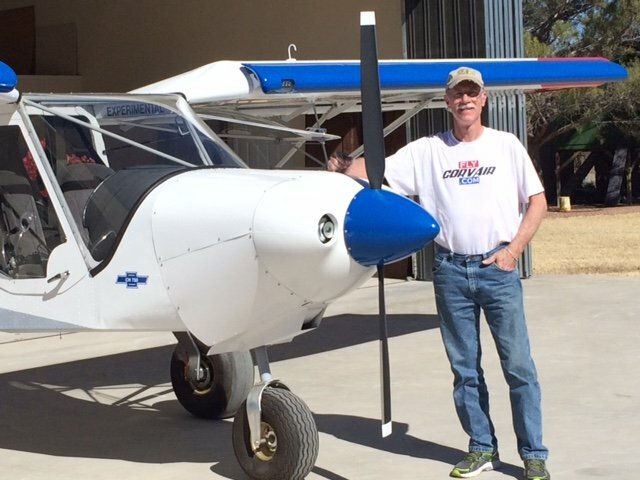 He has been an active designer of homebuilts for nearly half the history of powered flight. 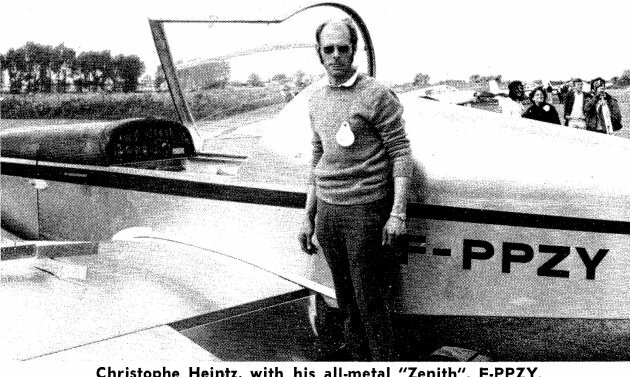 Chis Heintz earned his education and his start in France, a country with a very strong history of outstanding aeronautical work. Read more: French Aviation to be admired. Above, Sun n Fun 2004. I stand next to Chris Heintz, in front of our own Corvair powered 601XL, N-1777W, in the Zenith display. I have personally met most of the prolific homebuilt designers, Wittman, Rutan, VanGrunsven, Davis, Monnett and many others. I can say without any hesitation that Chris Heintz is the most approachable, and also the most willing to directly share his understanding in conversation. Above, fast forward 10 years to Oshkosh 2014: Myself, Grace and Chris Heintz, inside the “One week wonder” tent where the Zenith 750 was built in a single week. Chris is autographing a copy of his design book to Grace and myself. I consider this man on a plateau with Bernard Pietenpol and Steve Wittman for his commitment to producing affordable designs that provide access to flight to working Americans. In the 43 years between this and the top photo, Chris Heintz made 14 commercially successful designs, and we have built, tested and flown Corvairs on 4 of these designs. Above, Our industry contacts have long worked to support our Corvair builders. The photo is from 2004 at Oshkosh: Next to our personal Zenith N-1777W, I explain our dual ignition arrangement two executives from Falcon insurance, The EAA’s provider. To offer real support, an alternative engine provider must be an effective advocate for his builders on many fronts, including meeting the requirements of underwriters. Just being an engine guru is not nearly enough. Corvair engines that follow our design, including to ones assembled by builders, are fully insurable at the lowest rates, right from the first flight, because they have an outstanding safety record. Having good effective hands on support is a critical element in this outstanding record. 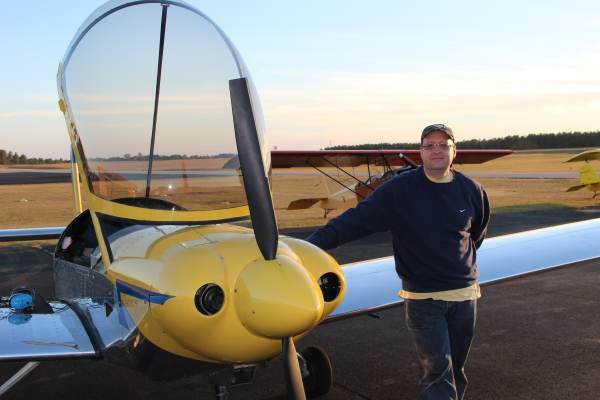 Above, Phil Maxson of NJ with his Corvair powered 601 XL that has been flying since 2006. We have our own private discussion group, specifically for Zenith builders working with a William Wynne conversion. It is very effectively organized and moderated by Corvair/Zenith pilot Phil Maxson. To learn more read this link: ‘Zenvair’ Information board formed. Both Grace and I are looking forward to another great year in aviation and building on our long standing success, working with Zenith Builders who select the Corvair for power. One Response to 12 years of Zenith’s powered by FlyCorvair Conversions. I’ve found the same with Zenith; great folks and great designs. We had a chance to visit with Chris Heintz at OSH during the OWW build. He was totally approachable and humble. Edi liked the 750 STOL enough that she bought a kit so now it’s on to find another core and while glue sets on the Piet parts, pull rivets on the alu Zenith parts.